Educational opportunities onsite include hiking trails and a large covered signboard to provide information about the function and value of healthy wetlands. OHA, with the help of the Curlew Job Corps, has built trails on both the upland portion and in the transition zone leading to the edge of the wetland. The wetland interpretive trail loop complements the upland loop, providing easy hikes with ecological information. 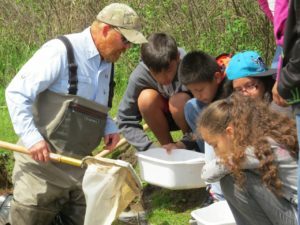 As a result, OHA has led workshops for community members and school field trips to learn about the Lost Lake ecosystems. The wetland portion of the Preserve is reserved for wildlife. Discover our educational offerings at Lost Lake by exploring the links below!